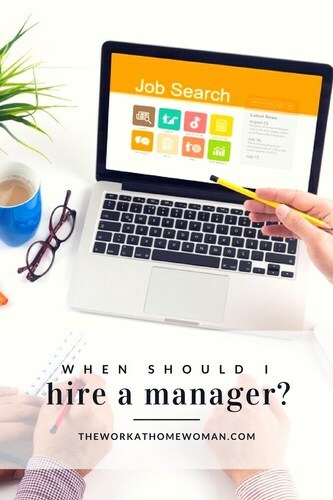 You are here: Home / Business / When Should I Hire on a Manager? Often, if you’re running your business from home, the idea is to run it yourself. There are many benefits to being the only employee – you only have to manage yourself, you don’t have to pay other people, and your business is being run exactly how you envision it being run. But as your small business grows, you may get to a point when hiring some help is necessary. But it can be challenging to pin down exactly the best time to hire new people. In many cases, they are seen as a luxury for small business and should only be brought into your management team if absolutely necessary. But as your company grows and your job as owner changes, managers can be the key to a successful, growing small business. When you first started, you may have ended your day at 6 pm, then maybe that slowly turned into 7 pm, and now you get done far later than you ever intended. If you find that your days are getting longer because you have to fix every little problem in your company, it’s probably time to hire a manager. One of the reasons owning your own small business is so great is because you get to pick your own schedule, which comes with a sense of flexibility. None of that matters if you physically don’t have time for anything else. If you’re not keeping up with your personal life and relaxing now and then, your business is going to suffer for it. As Reza Chowdhury, of AlleyWatch said in an interview with Bplans, “You’ll likely find yourself trapped in a perpetual hamster wheel, focused on tasks that are not a good use of neither your time nor skill set. At this point, it’s time to bring in the help to allow you to focus on the big picture.” This is usually the most common reason business owners hire a manager. As the company grows, you’re going to want to focus your time on the overall status of the company and not the tiny day-to-day details. You have employees to manage. At the start of your company, you were doing all of the marketing, production, and processing. But when your company grows into a multi-person operation, your duties as a small business owner have changed. You still need to have your team managed, but, often, owners find themselves stretched for time between meetings with partners, going to press events and all the other obligations that go along with being the face of a company. This is where a manager comes in. Managers can make sure the company is running, so you can spread press and build relationships with other companies. When I first became a CEO I was taken aback by just how much of running a business is managing employees and making sure everyone’s happy and working hard. Managing people is a full-time job. If I didn’t have the managers I do, I wouldn’t get any other work done! In times of rapid growth, managers can help you scale your business quickly. As the business owner, you may be spending your time trying to market as much as possible. The issue with this is that as your company is in higher demand, you will need to hire, train, and manage a number of new employees. Scaling Data’s Omer Trajman said “The best time to hire a manager for day-to-day activities is before you start your next phase of growth. Make an operations manager your first hire and you’ll see productivity increase while you’re growing.” Managers are a great way to help your company scale in a quicker and more effective fashion. If you hire a manager too early, you may be spending money you don’t have. Yet, if you hire a manager too late, you can slow the growth of your company. Knowing the ideal time is tough, but the best time will depend on your company’s needs and daily routine. 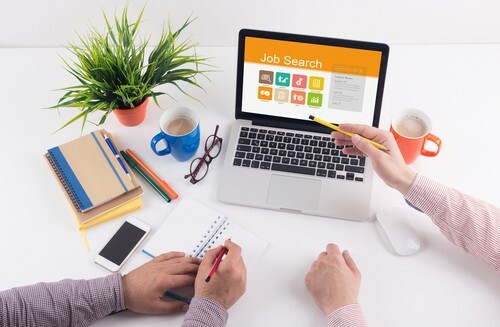 Ultimately, the decision to hire a manager will likely be due to the lack of time or resources needed to effectively manage your employees on a day-to-day basis. Need more hiring and outsourcing tips? Check out these articles!